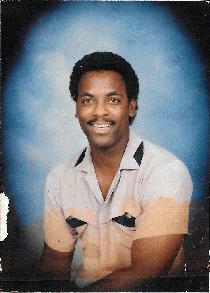 Paul Douglas Smith at the age of 59 went to be with his Lord and Savior on Sunday, Aug. 31, 2014 at a Kerrville hospital. He was born on May 09, 1955 in San Antonio, Texas to Paul and Gladys Smith. Paul served in the U.S. Army from 1973 until 1975. He married Vada Lott and they were happily married for 20 years. Paul enjoying helping others when he could. He is preceded in death by his father. Paul Smith. Paul is survived by his loving wife Vada Smith of Kerrville; mother, Gladys Brown of San Antonio. Also left to cherish his memory are his children, siblings,and many other family members. In lieu of flowers donations can be made in Paul's memory to the Wright's Funeral Parlor to help the family with expenses.